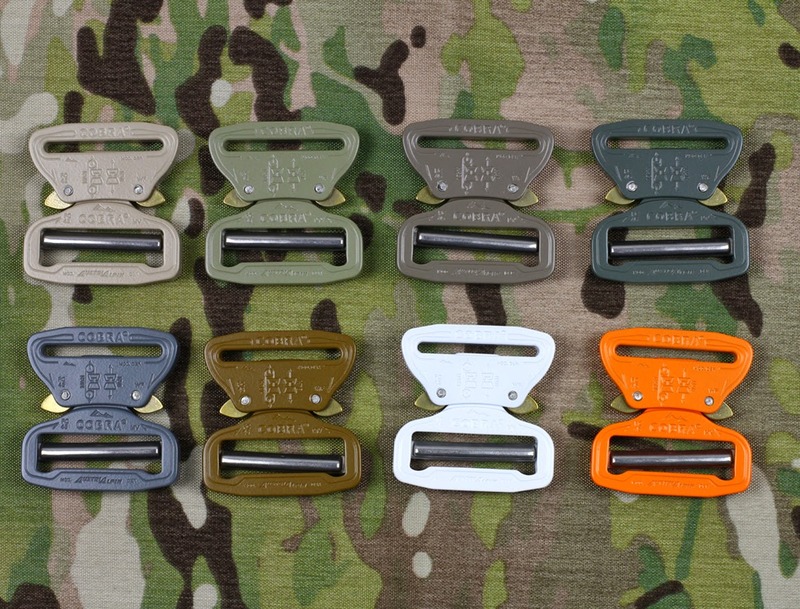 Based on feedback from their military customers, AustriAlpin has expanded their color options for the popular Cobra Quick Release Buckle. 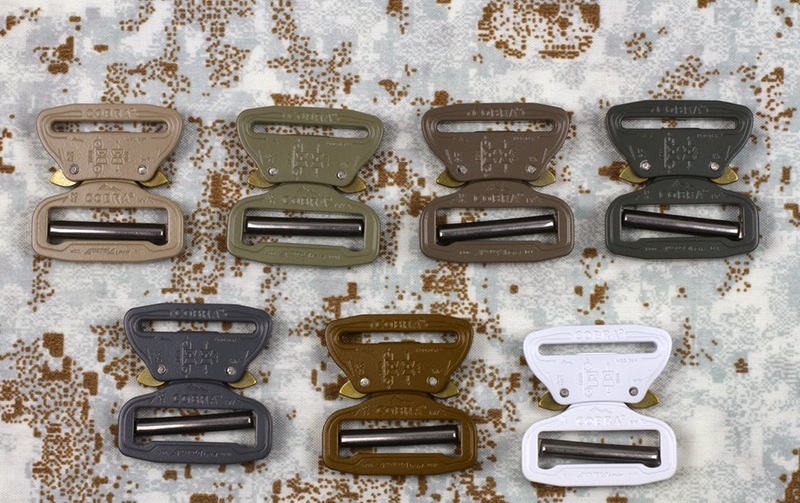 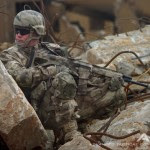 The main focus is on offering a variety of buckles that match as close as possible to colors normally utilized in military equipment as defined in Federal Standard 595 (or RAL-Colors in Europe). 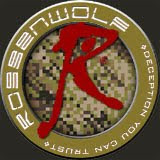 Production has just begin on the buckles offering the new color options and below you will find all of the different offerings on a PenCott SnowDrift Camo backdrop including (Left to Right starting from the Top): Desert Sand, Tan499, Elephant Grey Foliage Green, Wolf Grey, Coyote, and White.